These events are open to the public and are appropriate for all ages that can safely handle a rifle. We cover firearm safety, the fundamentals of rifle marksmanship and the history of April 19, 1775 and how marksmanship made a difference in the founding of our country. Events are 8:30am – 3:30 PM with a lunch break. 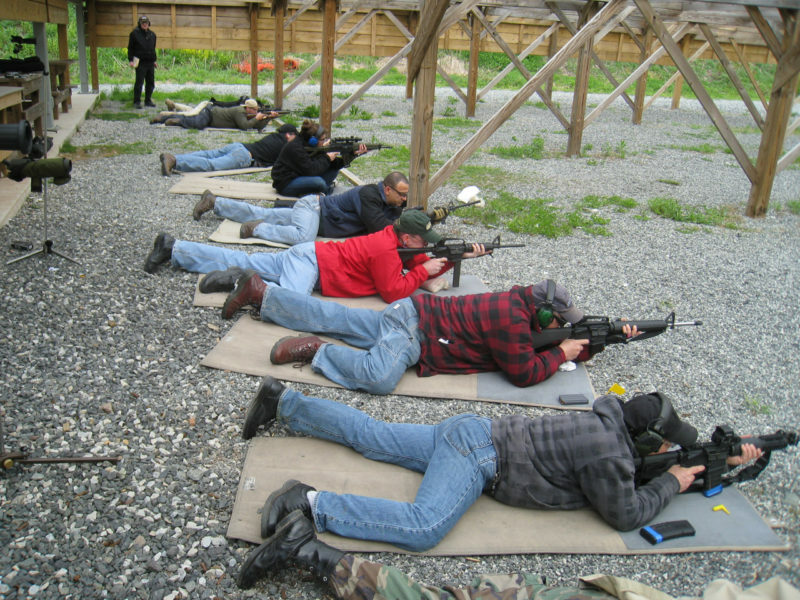 One of the goals of the Revere’s Riders program is to help new shooters get started with rifle shooting. We can provide any equipment that you may not already have. Please let us know of your equipment needs ahead of time so that we can be prepared. Please come dressed for the weather when we have an outdoor event. We ask shooters to be prepared for hot/cold/rainy weather. LPRGC provides bottled water for participants. Especially during the hot months, bring snacks to keep fueled. Do we shoot when there is snow on the ground? ….. Why Yes, Yes we do! Nothing like a fresh blanket of snow to cool you off while taking the Revere’s Riders – Basic Rifle Class!! Frank Tait (Rifle Committee Chair and Revere’s Riders Instructor) presents an award for some awesome shooting! Can you concentrate in the cold …… all of these students did not seem to have a problem with it!! Even the kids get in on the action…..and truth be told, tend to shoot much better than the adults!! And in addition to great instruction on the fundamentals of Rifle Marksmanship, you get the history of April 19, 1775 and how marksmanship made a difference in the founding of our country!